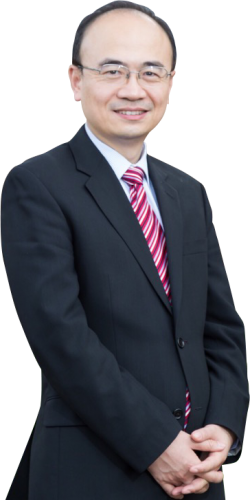 Dr Yang’s surgical team provides an exceptionally high standard of surgical care and operating equipment. Ultramodern operative equipment – the operating theatre is equipped with advanced neuro-navigation equipment – including operating microscopes with the ability to perform fluorescence-guided tumour surgery. Intraoperative MRI scanner – this allows surgeons to scan patients during their operations and then immediately verify the results of the procedure. 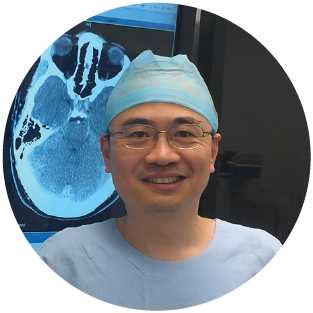 Awake brain tumour surgery – this technique aims to ensure minimal harm to patients who have tumours in critical locations in the brain, allowing the surgeons to perform maximally safe resection of the tumour. 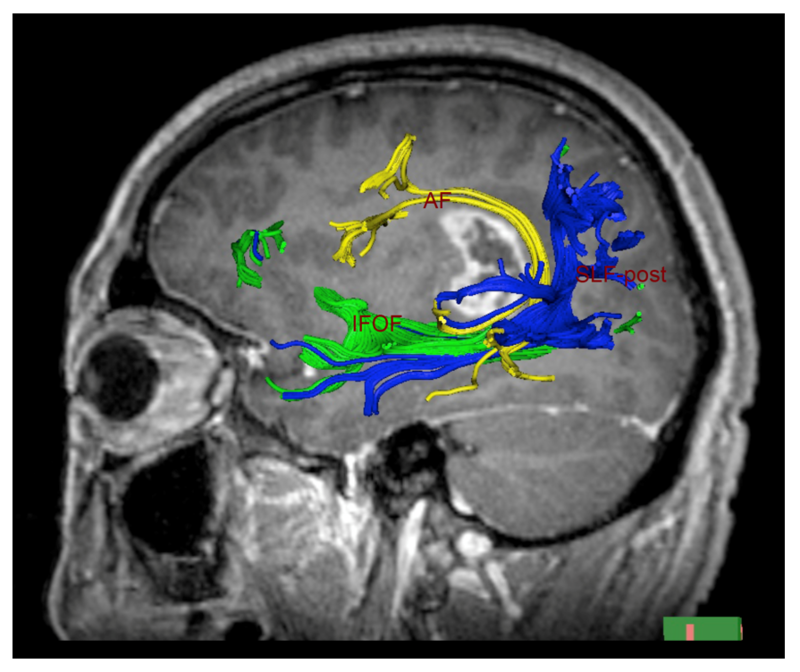 MRI brain showed a tumour located in the important speech area. Careful preoperative preparation identified important nerve fibres around the tumour. 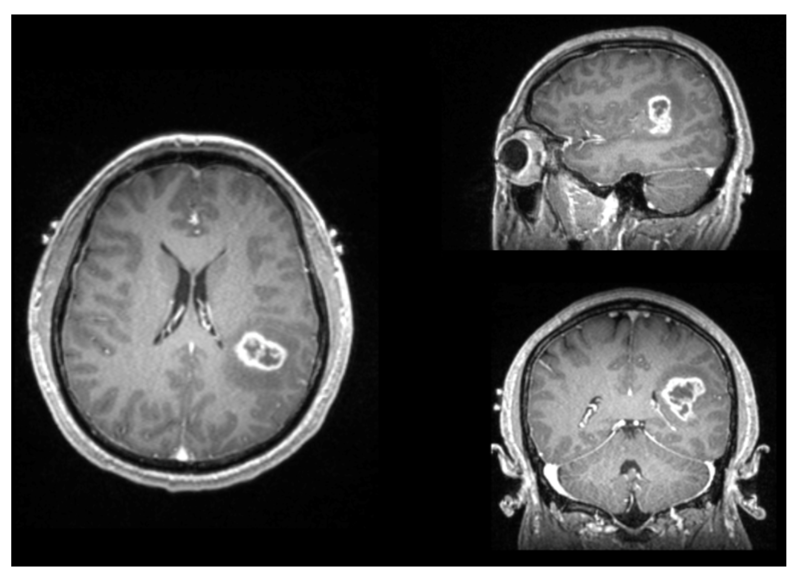 State of the art intraoperative MRI scan showed a complete resection of the brain tumour. 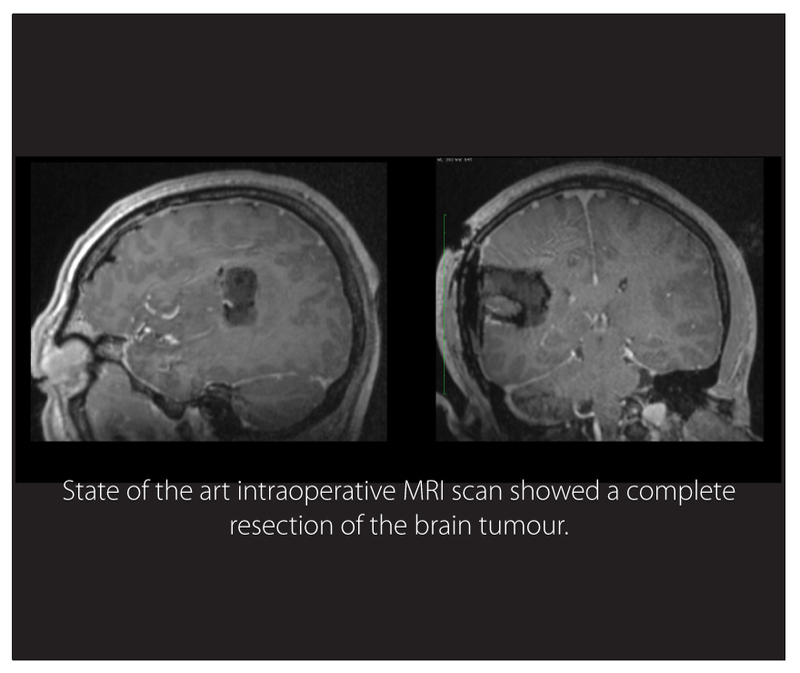 The intraoperative MRI technology revolutionized brain tumour surgery and reduced risks of repeat surgery in case of any residual tumour.